When you think of autumn, you think of falling leaves, pumpkin patches, and most importantly, cool evening breezes. These factors make the fall a great season to host a birthday, or pumpkin carving event. What better way to take advantage of the beautiful weather than by planning an outdoor party? 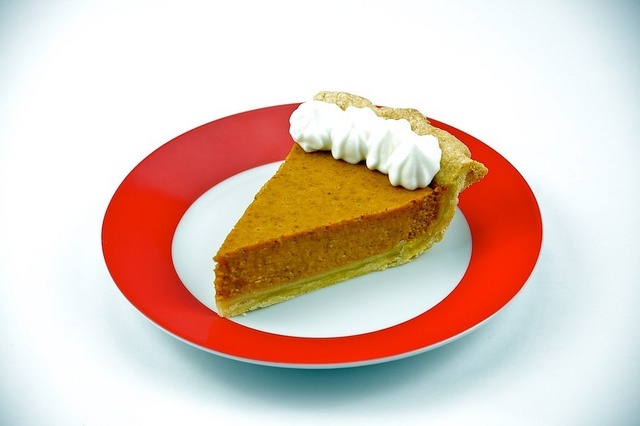 Pumpkin pie will supply the smell and taste of autumn. For drinks, all flavors of cider (Spiced Pumpkin, anyone?) are perfect for the season. If the weather is cool enough, hot chocolate and other warm beverages will be a big hit with your guests. 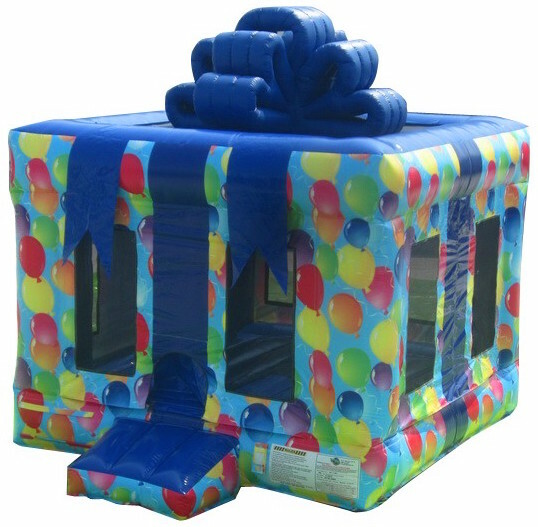 Depending on the type of event you are hosting, there are a few inflatable options that will pair perfectly with your party. Throwing a birthday party? Our Gift Box with Balloons space walk could be the greatest gift your child receives. If you really want to amaze your little one, put their gifts inside of it so they can open the biggest gift box that they have ever seen. Entertaining the older kids? Fall is the perfect time of year to rent out an inflatable obstacle course, like the Rock Climb Slide/Mini-Obstacle Course Combo. These courses range from 30′-130′ long, featuring rock climb walls, pillar obstacles, crawl-through tunnels, and slippery slides. Any kid who races through one of these courses won’t only be exhausted by the end of the party- they won’t be able to stop telling all their friends how much fun they had! For those planning birthday parties closer to Halloween, our Graveyard Bounce will provide just the right amount of fright to celebrate the spookiest of days. Don’t be frightened! That’s the New Orleans Voodoo mascot from the Arena Football League, even mascots and skeletons know that inflatables are too fun to resist. 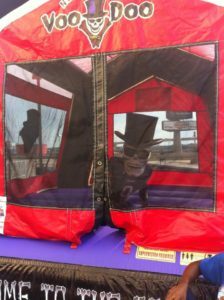 After choosing the perfect bounce house rental, plan to take further advantage of the outdoors by setting up some fun, affordable, and messy activities. 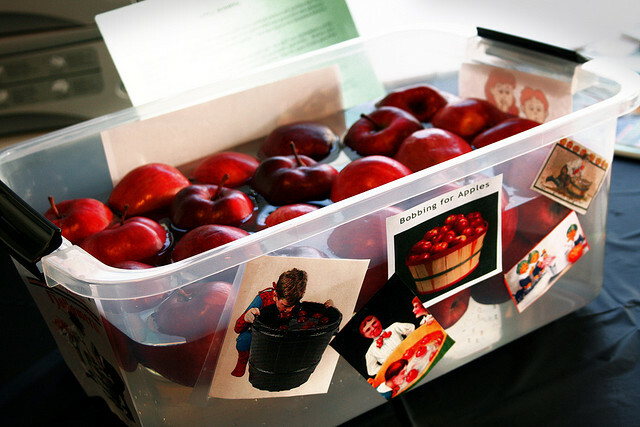 Bobbing for apples is a classic autumn tradition that you can easily integrate into your party. Just get a bucket, fill it with clean water, and drop in a bushel of apples. For added excitement, you can designate prizes for each individual apple. Use this time to get ready for Halloween! Setup pumpkin-carving stations at the party. 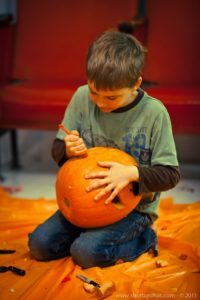 Everyone will have a blast designing their pumpkins, pulling out the squishy insides, and carving faces, words, or patterns. With food, a bounce house rental, and some messy outdoor fun, the fall birthday party you’re planning will be a hit. Check out your local Space Walk and get ready for a great fall full of fun, family, and festivities!